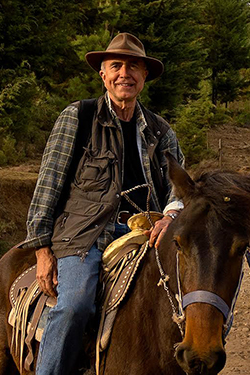 Sweet Briar students will have the chance to spend a whole semester this fall with renowned photojournalist and nature photographer Medford Taylor. Taylor, whose work has been featured in National Geographic and TIME, will be teaching digital photography in the College’s studio art department. Medford Taylor in Mexico. Photo by Lincoln Brower. Taylor, who lives in Richmond, is no stranger to Sweet Briar. In 2009, he was awarded a fellowship at the Virginia Center for the Creative Arts, an artists’ retreat near Sweet Briar’s main campus, in return for his guest lectures in the College’s studio art department. Shortly after, Sweet Briar hosted an exhibition of his work in Babcock Gallery: “ ‘Silent Journey’: A Photographer and Millions of Butterflies Travel to the Heart of Mexico.” Taylor had worked closely with Sweet Briar College research professor Lincoln Brower, who continues to study the monarch’s annual migration. 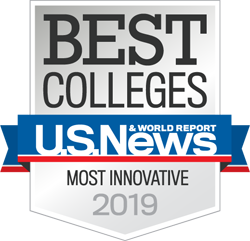 But nothing could have fueled his passion for Sweet Briar quite as much as the events of last spring, after the College announced plans to close. The College remained open, and Taylor was asked if he would consider teaching in the studio art department. Taylor, who had always wanted to teach, didn’t hesitate. He also notes that photography as a field has a long history of distinguished women practitioners. His course will introduce students to the fundamentals of digital image capture, composition and print production. Students also will learn the basics of post-processing with Adobe Photoshop and Lightroom, and the class will include technical demonstrations, studio instruction, student image presentations and group critiques. Readings and discussions will focus on master photographers and explore contemporary trends in art and documentary photography. Taylor will focus especially on the use of photography as a “seeing” process. 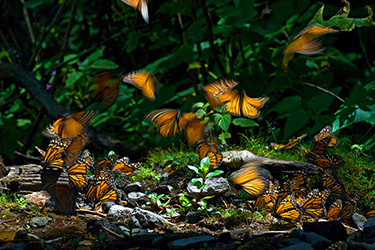 Monarch butterflies in Mexico. Photo by Medford Taylor. At the end of the class, students will select a number of physical prints from their portfolio and produce a self-published book of photographs. In a career that spans more than 30 years, Taylor has covered events, people and places all over the world, ranging from the civil rights movement to Mexico’s monarch butterfly migration to the Australian outback. Born in North Carolina and a graduate of High Point University, Taylor served five years as a naval officer, including in Vietnam, before discovering his passion for photography after attending the University of Missouri Photojournalism Workshop. Following a brief stint in the university’s graduate program, he launched a lifetime career in photography, first as a staff photographer for the Houston Chronicle and later the Virginian-Pilot in Norfolk. Taylor soon moved on to freelance, completing numerous assignments for National Geographic Magazine, NG Traveler, TIME, Newsweek, GEO, Air & Space magazine, Turner Broadcasting and many other organizations and publications. His work appears worldwide in periodicals, books and on the web. His book “Saltwater Cowboys: A Photographic Essay of Chincoteague Island” was published in 2002. Taylor says he feels fortunate to have “lived a life in photography,” but he’s excited about the next stage in his career. To learn more about Taylor, visit medfordtaylor.com.